Here are some snazzy birthday facts about 6th of July 1935 that no one tells you about. Don’t wait a minute longer and jump in using the content links below. Average read time of 9 minutes. Enjoy! What day was my birthday Jul 6, 1935? July 6, 1935 was a Saturday and it was the 187th day of the year 1935. It was the 27th Saturday of that year. The next time you can reuse your old 1935 calendar will be in 2019. Both calendars will be exactly the same! This is assuming you are not interested in the dates for Easter and other irregular holidays that are based on a lunisolar calendar. There are 78 days left before your next birthday. You will be 84 years old when that day comes. There have been 30,603 days from the day you were born up to today. If you’ve been sleeping 8 hours daily since birth, then you have slept a total of 10,201 days or 27.93 years. You spent 33% of your life sleeping. Since night and day always follow each other, there were precisely 1,036 full moons after you were born up to this day. How many of them did you see? The next full moon that you can see will be on April 19 at 11:14:00 GMT – Friday. Fun stat: Your first one billion seconds (1,000,000,000) happened sometime on March 14, 1967. If a dog named Alexis - a Pekingese breed, was born on the same date as you then it will be 352 dog years old today. A dog’s first human year is equal to 15 dog years. Dogs age differently depending on breed and size. When you reach the age of 6 Alexis will be 40 dog years old. From that point forward a small-sized dog like Alexis will age 4 dog years for every human year. Pope Clement VI issues a papal bull protecting the Jews accused of having caused the Black Death. Pope Benedict XIV suppresses the Patriarchate of Aquileia and establishes from its territory the Archdiocese of Udine and Gorizia. Dadabhai Naoroji is elected as the first Indian Member of Parliament in Britain. Jackie Robinson refuses to move to the back of a bus, leading to a court-martial. The Troubles: In response to the Drumcree dispute, five days of mass protests, riots and gun battles begin in Irish nationalist districts of Northern Ireland. What does my birthday July 6, 1935 mean? 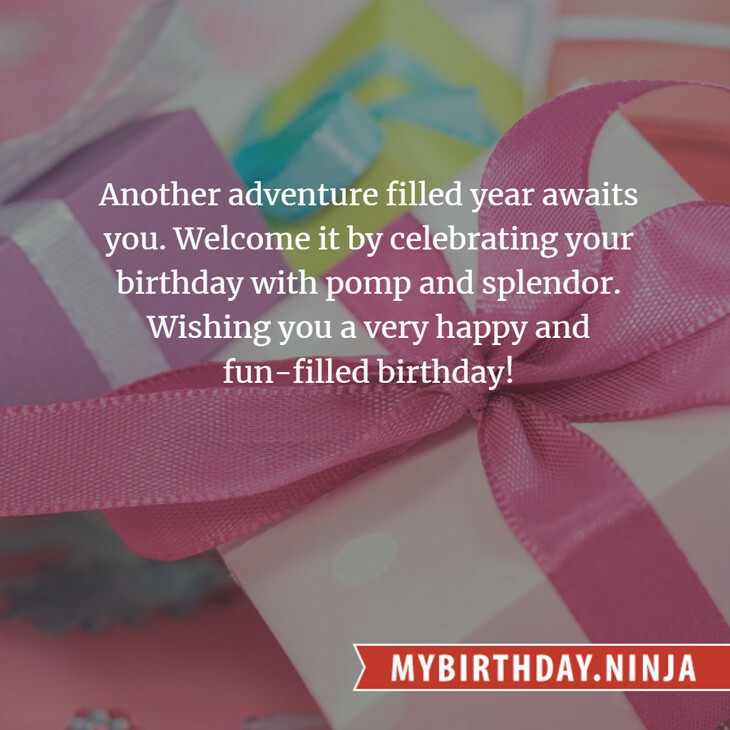 Your birthday numbers 7, 6, and 1935 reveal that your Life Path number is 22. It is a master number that represents practical idealism and material mastery. You were born under the most powerful and potentially the most successful of all Life Path numbers. The following celebrities also have the same life path number: Thilakan, Genevieve Morton, Billy Howerdel, Brett Claywell, Divya Dutta, Giuseppe Taddei, Elena Lucena, Janice Pennington, Hermann Wlach, Megumi Okina. What is the birthday horoscope for Jul 6, 1935? The Western zodiac or sun sign of a person born on July 6 is Cancer ♋ (The Crab) – a cardinal sign with Water as Western element. The ruling planet is Moon – the celestial body of moods and emotions. According to the ancient art of Chinese astrology (or Eastern zodiac), Pig is the mythical animal and Wood is the Eastern element of a person born on July 6, 1935. Fun fact: The birth flower for 6th July 1935 is Larkspur for haughtiness. 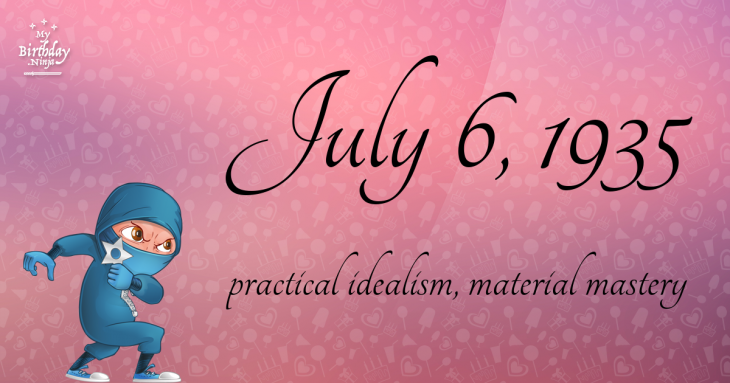 What is the Love Match for Jul 6, 1935? When it comes to love and relationship, you are most compatible with a person born on February 15, 1925. You have a Love Match compatibility score of +155. Imagine being in love with your soul mate. On the negative side, you are most incompatible with a person born on January 18, 1947. Your incompatibility score is -144. You’ll be like a cat and a dog on a love-hate relationship. Arf-arf, I want to bite you. Meow-meow, stay away from me! What is the popular baby name on 6 Jul 1935? Here’s a quick list of all the fun birthday facts about July 6, 1935. Celebrities, famous birthdays, historical events, and past life were excluded. Try another birth date of someone you know or try the birthday of these celebrities: March 30, 1964 – Tracy Chapman, American singer-songwriter and guitarist; May 28, 1938 – Maurice Woods, American actor (d. 1983); December 1, 1988 – Zoë Kravitz, American actress and singer.